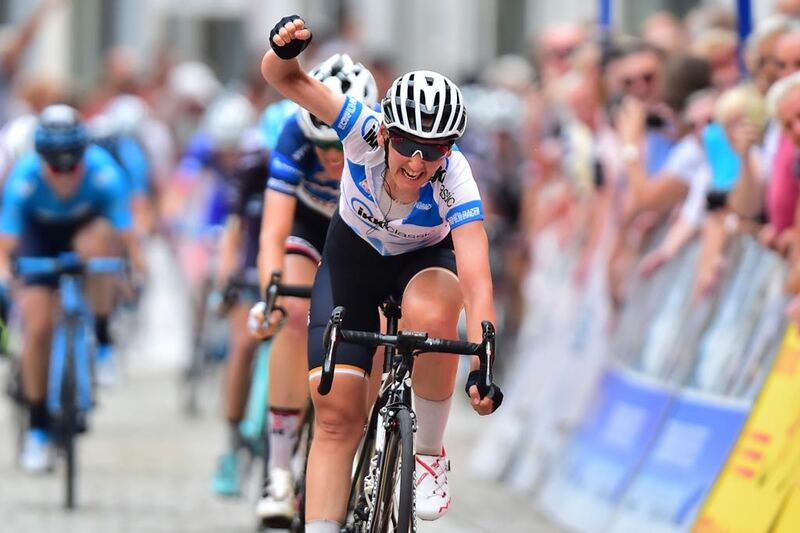 After finishing on the podium on the last three days, Lisa Brennauer (Wiggle High5) has finally won her first stage in this years’ Lotto Thüringen Ladies Tour. 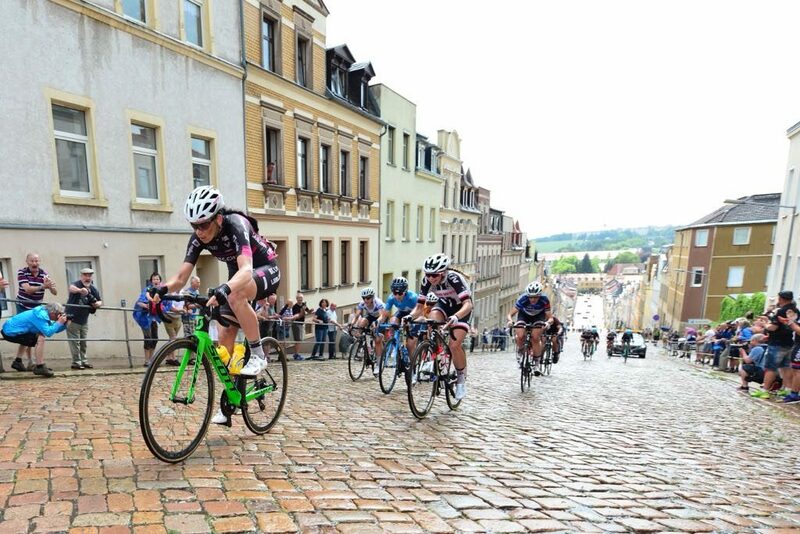 She dominated the sprint in Gera ahead of Ellen van Dijk (Team SUNWEB) and Elena Cecchini (Canyon // Sram Racing). On stage 4 of the Lotto Thüringen Ladies Tour, the peloton rode a rather flat stage from Gera to Meerane and back to Gera, where they had to do another short lap before finishing on the market in the city centre. The spectators along the course in Gera saw an exciting race today. 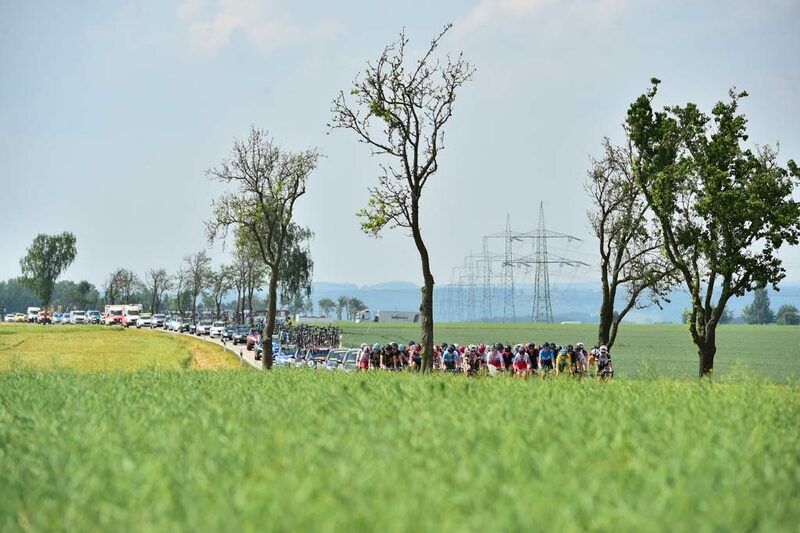 Already after 25 kilometres, a big breakaway was formed. The group came together to the famous ‘Steile Wand’, a scenic cobble stone climb in Meerane where also the first mountain classification took place. Spectators cheered the riders of the breakaway and the bunch up the climb. Only minutes after crossing the climb, the riders faced a heavy shower. The 19 rider breakaway was able to gain an advantage of 1:45 seconds. Team SUNWEB rode a strong once again, having five riders in the front group. Stage winner Brennauer had some bad luck at that point, having no teammate in the break and also having a puncture in that phase of the race. The group had an advantage of almost 2 minutes at times. But then Wiggle High5 and team FDJ Nouvelle Aquitaine Futuroscope, which had no rider in the breakaway, tried to close the gap to the front group and the bunch came closer and closer. Before they caught the break, five riders attacked from the group and formed a new breakaway. With 2 Sunweb riders, one rider for Canyon Sram Racing, Trek-Drops and Movistar, the break was very strong and quickly gained an advantage. But the remaining teams in the bunch worked hard to get the group back. 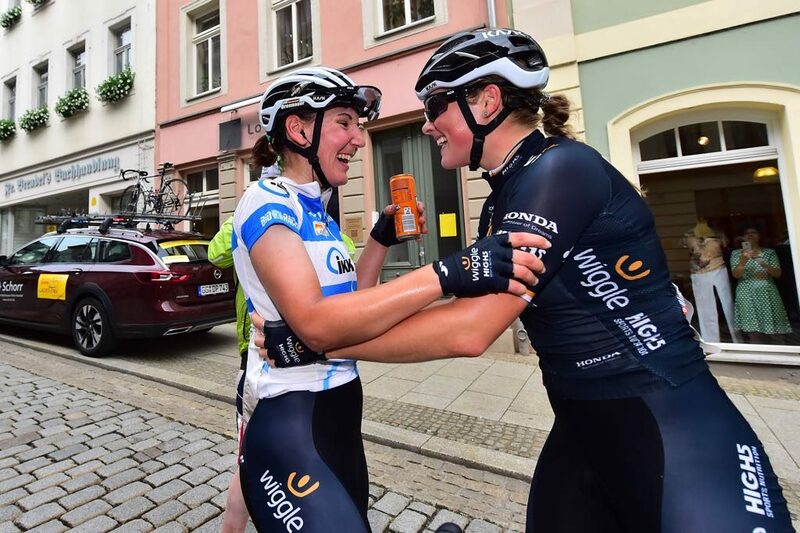 Later on Lucinda Brand (Team Sunweb) and Alice Barnes (Canyon Sram Racing) attacked and entered the local circuit with 15 seconds ahead of the main group. But they were also caught at the last mountains sprint and in the end, the main pack reached the finish and they sprinted for the victory in Gera. Here, Brennauer was finally the strongest. She showed a powerful sprint to the line in which she overtook van Dijk.